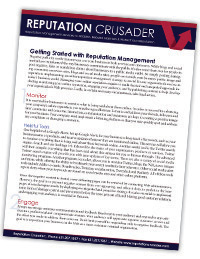 ReputationCrusader.com is a division of the Public Relations and Marketing Group, LLC. Founded in 2002 by attorney John C. Zaher, the firm has been providing public relations, marketing, advertising, web development, social media, political consulting and related services to a diverse roster of clients since its inception. Over time, its clients' web presence and online reputation grew in terms of workload and importance to the firm. At the same time, the company was approached by several new clients seeking to hire the firm solely for reputation management purposes. With over 20 years of experience in public relations and political consulting, the firm's leadership understands the importance of one's reputation and has developed an aggressive multi-faceted approach, including legal action when necessary. When your reputation is attacked, your opponents seek to hurt your business, your livelihood and even your family. Fortunately, we're here to help. 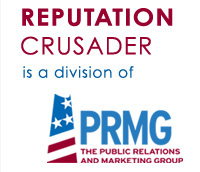 Contact us at johnzaher@theprmg.com or call 631-207-1057 for a free consultation.